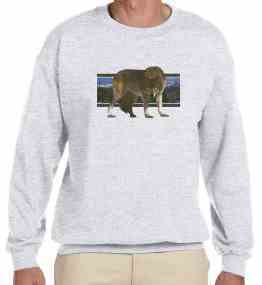 Wilderness Wolf Sweatshirt Wolf Sweatshirt print is for light colored tee shirts only, under our wildlife and animal Sweatshirt section. This wolf Sweatshirt comes in sizes up to a XL and your choice of the colors listed for the Sweatshirt. This wolf Sweatshirt features a raised image of a wolf and the ink type for this print is a puff. 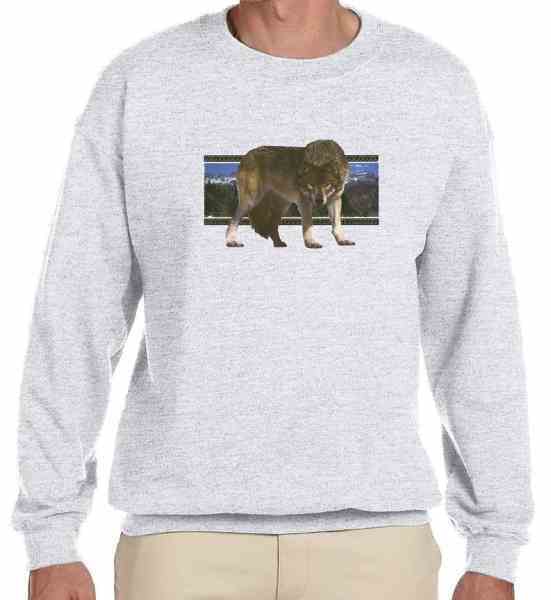 This wolf Sweatshirt makes a great gift for any animal or wildlife lover. All of our animal and wildlife tees are first quality tee shirts and come are made of a 50/50 cotton poly blend. If you have questions regarding our Wilderness Wolf Sweatshirt or any of our other wildlife gifts, please email us with the product name and number.